The current EU policy of stemming the flow of refugees by cooperating with the Libyan military is profoundly wrong as migrants will cross the Mediterranean “either way” simply to escape dire plight in their home countries, a German rescue NGO said. “Many believe that people [migrants] weigh up rationally whether or not to attempt the journey [to the EU],” Doerner said of the reasons encouraging refugees to take dangerous journeys across the Mediterranean. “They will come either way,” he added. Doerner then lashed out at mounting allegations that humanitarian NGOs are working with traffickers or encourage illegal immigration from the Middle East and Africa. “This is utter nonsense,” Doerner said. 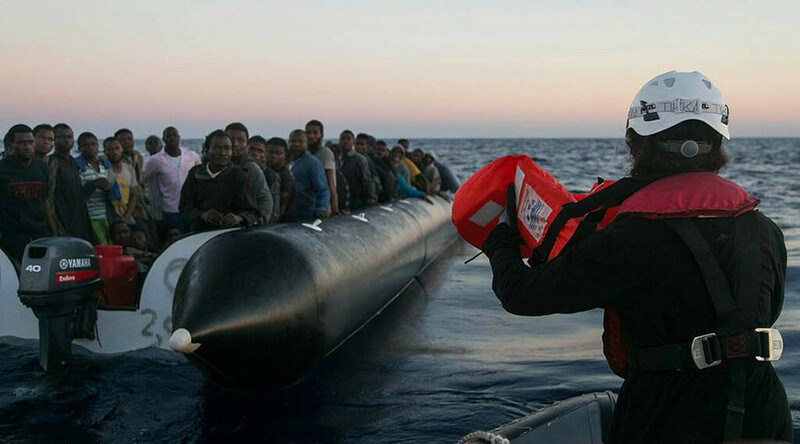 The Financial Times earlier quoted a confidential report by Frontex, which said migrants had been given “clear indications before departure on the precise direction to be followed in order to reach the NGOs’ boats.” The paper also accused charities of refusal to cooperate with EU authorities, thus making it extremely difficult to monitor their funding and major sponsors. Doerner replied that Frontex avoids communicating with rescue NGOs, preferring instead to train and fund Libyan border forces. “This is risky,” Doerner said, “as there are three different coast guards in Libya, each having different interests, including cooperating with traffickers.” There were instances in the past, he said, when the Libyan Coast Guard searched NGOs’ ships, sometimes at gunpoint. 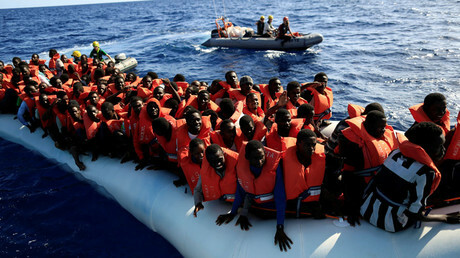 The EU “is trying to solve a humanitarian crisis with military means,” he went on, adding that Frontex wants to “criminalize NGOs” in order to have fewer actors in the Mediterranean, and “operate in a legal gray zone.” Instead of inefficient solutions, Europe must combat roots of the migrant crisis and establish legal refugee routes, Doerner said. The interview comes as the EU is engineering proposals aimed at curbing the flow of migrants into the continent. Among other options, Brussels considers setting up refugee camps in non-EU countries as well as securing support from Egypt and Tunisia to accept failed asylum seekers returning from the EU. Germany, a major destination for many asylum seekers, also mulls long-term investment into African states as part of what Berlin calls a ‘Marshall Plan for Africa’.